Stacey & Ross’s Inn at Bay Harbor Petoskey Michigan Wedding was so insanely beautiful it felt like we were looking out at the caribbean! One of the most picturesque weddings to date! 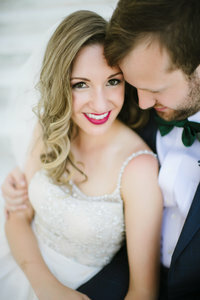 From getting ready to the first look to the ceremony to the reception they decided to keep their entire day at The inn at Bay Harbor and that was SO perfect! Stacey & her friends not only were getting ready they had such a fun time which was a lot of fun to witness. They even had a cut out head of their friend who was unable to attend which was pretty funny to see ha! Ross and his friends were in another location prepping for the day and I think it was good for both Stacey and Ross to be with their friend enjoying time before the biggest day of their lives. After their last finishing touches they headed pout for their first look which was right next to the lake under a tree. Absolutely STUNNING. And Ross’s reaction was so cute you guys. He was BLOWN away by Stacey – that is really the coolest. Ross took his time with her after their moment together. Directly after we rushed them off for guests to arrive for their ceremony. As guests arrived I think they were all in awe over the stunning view. They were seated and the ceremony began! Following their ceremony they literally just had a fantastic time. All of the planning is done, the anxiety of seeing each other for the first time was behind them and now it was just the two of them celebrating together! I am SO incredibly grateful to have been there to document their story it is definitely one I’ll never forget – absolutely stunning!